The DoloMyths Run Sellaronda Ultra Trail is organized by the DoloMyths Run Committee, in cooperation with the Municipalities and the Tourist Boards of Canazei, Selva Valgardena, Corvara and Arabba. 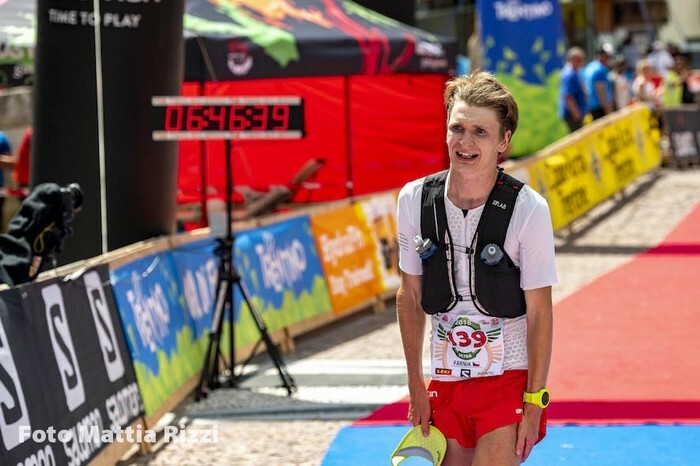 The start will be from Canazei (Val di Fassa) on Saturday 13 2019 at 8.30 a.m.
To enter the race it is absolutely compulsory to be at least 18 years old and in possession of a medical certificate for agonistic athletics valid by the date of the race and to be fully aware of the length and difficulty of the race and to have undergone adequate training in preparation. The Half DoloMyths Run Sellaronda Ultra Trail takes place mostly on high mountain trails: it is essential that you are comfortable with running on mountain paths and tracks. The start of the race will take place in turn in Canazei (Val di Fassa) and Corvara (Val Badia) changing year by year. For the year 2019 the start of the race will be on Saturday July 13 at 8.30 o’clock from Canazei. The check of the equipment is scheduled at 8.00 a.m. The race will take place all around the Sella Massif, along dirt roads and paths, trying to avoid as much as possible asphalt roads and crossings on national roads. The racetrack is about 26 km long with an altitude difference of about 1,600 mt. The race will climb up to the Sella Pass and down to Selva Valgardena, along the demanding ascent of the Dantercepies ski slope before the long descent towards Colfosco where the race ends. The racetrack will be signalled by special flags. All along the track check points and refreshment points will be placed. The maximum time to cover the distance is fixed in 8 hours. Along the racetrack only one time limit of 4 hours to get to Selva di Val Gardena will be placed. The athletes who will exceed the above mentioned time limits will be excluded from the prosecution of the competition and their bib numbers will be withdrawn. If, for any reason, an athlete disqualified from the race wants to complete the race, he/she is allowed to run under his/her own responsibility and has no right to refreshments along the track. By the check point in Selva Valgardena, there will be shuttle bus at disposal to carry the athletes to the finish of the race in Colfosco. The Organization will provide a shuttle bus service to carry the athletes from the finish in Colfosco (Val Badia) back to Canazei (Val di Fassa). Athletes who need the bus service must click the apposite flag at online registration. The Organization will not provide any transport service to athletes who had not applied for it while entering the race. A standard of semi self-sufficiency is required to run the race. Four refreshment points will be placed along the racetrack where athletes can find drinks and food to be eaten directly there. Camel-bags or water bottles can be refilled with water and supplements provided directly by organizers. Any athlete must carry with him, from the start, all he needs to be self-sufficient on the distance from one refreshment point to the other one. Food and drinks provided by the refreshment points must be consumed in that delimited area, avoiding to carry and throw somewhere else any rubbish, such as plastic glasses, that can pollute the environment. Special bins will be placed in each refreshment point for the rubbish to be used compulsorily by the athletes. Any external assistance, provided by people not registered in the race, all along the track or even in short parts of it, is absolutely forbidden. The bib number will be delivered to each athlete after showing I.D. card and the medical certificate, valid by the date of the race. The bib number is personal and cannot be transferred to any other person. It must be worn in a visible position for the whole competition. Any change of the bib number is absolutely forbidden. Together with the bib number, each athlete will be given a microchip for the recording of the time during the race. At the withdrawal of the bib number each athlete must pay a deposit of 20,00€ that will be refunded at the restitution and of the timing chip. The race entry includes the race gadget, timing service (including intermediate times), refreshments during and after the race, pasta party, shuttle bus back to Colfosco for the athletes withdrawn from the race and back to Canazei for finishers, showering service after the race (in Colfosco). To take part to the Half DoloMyths Run Sellaronda Ultra Trail each athlete must accept the above enlisted rules and the runners’ code of ethics, without reserve. It is compulsory to follow the racetrack, without cutting the race course. Cuts could turn into a damage to the soil, provoking deep erosion of the ground. By the refreshment points bins will be placed for the rubbish in order to avoid any pollution of the surrounding environment. Each athlete must provide first aid to anybody who should need assistance or being in danger and in case call for rescue team to intervene as soon as possible. General respect is highly recommended. Self-respect and respect for other runners, avoiding any kind of unfair behaviour; respect for the volunteers on duty for free; respect for local people who welcome the race; respect for the Organizing Committee and for its sponsors. The race judges present along the trail, the persons in charge placed by the check-points and refreshment points must control that all the rules are respected by the athletes. In case of lack of respect of the rules, penalties or even disqualification can be applied, in accordance with the judgement of the whole jury. All complaints must be made in writing and presented at the race office with a deposit of 100 euro (which will not be returned if the complaint is not held to be valid), within two hours of the athlete’s arrival. Changes in the route and the time barriers. Cancellation of the race The Jury has the right, at any time, to change the course of the race and the position of both refreshment and first-aid points. In case of bad weather conditions the race can be delayed or cancelled. The Organizing Committee can suspend the race or can change the time limits imposed in case of specific conditions that could be considered dangerous for runners. Should the competition be cancelled, the entry fee would not be refunded. Any specific decision about it will be taken only by the jury.